Neuroimaging is required for any patient presenting with seizures. In the acute setting, imaging is necessary to exclude a space-occupying or life-threatening process. The evidence regarding the type of imaging that should be performed in the acute setting is strong but dependent on the clinical presentation, risk factors, and epileptogenic triggers including provoked or unprovoked seizures and also whether the seizures occur in children or adults. Based on the evidence, an algorithm is presented to guide providers in managing patients presenting with acute seizures. Epileptic seizure refers to a paroxysmal but transient alteration of neurologic function secondary to abnormal excessive or hypersynchronous neuronal activity in the brain. Epilepsy is a clinical condition of recurrent, unprovoked seizures. In the emergent setting, the role of neuroimaging is to exclude life-threatening pathology. MRI is reserved for patients with symptoms suggestive of encephalitis in which CT has been negative. Children with one episode of febrile seizure do not require neuroimaging. Advanced imaging methods including PET and SPECT are rarely required in the emergent setting. The authors would like to acknowledge the work of Drs. Byron Bernal, Nolan Altman, and Elysa Widjaja. This current chapter draws upon their chapters (on Seizure Disorders in Evidence-Based Neuroimaging, Evidence-Based Imaging in Pediatrics, and Evidence-Based Imaging, three volumes all published by Springer Science, edited by L.S. Medina et al. 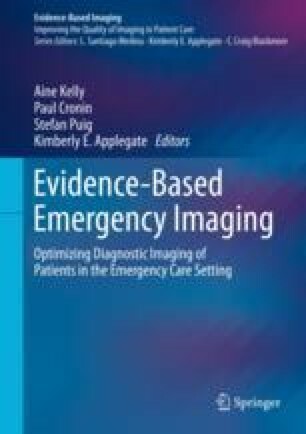 and published in 2013, 2010, and 2011, respectively) in the process of presenting thoroughly updated and significantly revised coverage of this subject for emergency imaging. Turner S, Benger J, for the College of Emergency Medicine (UK). Guideline for the Management of First Seizure in the Emergency Department. Available at: https://secure.collemergencymed.ac.uk/code/document.asp?ID=5073. file:///D:/ainekell/Downloads/CEM5073-GEMNet---Guideline-for-the-management-of-first-seizure-in-the-ED---Dec-2009.pdf.